Hello. 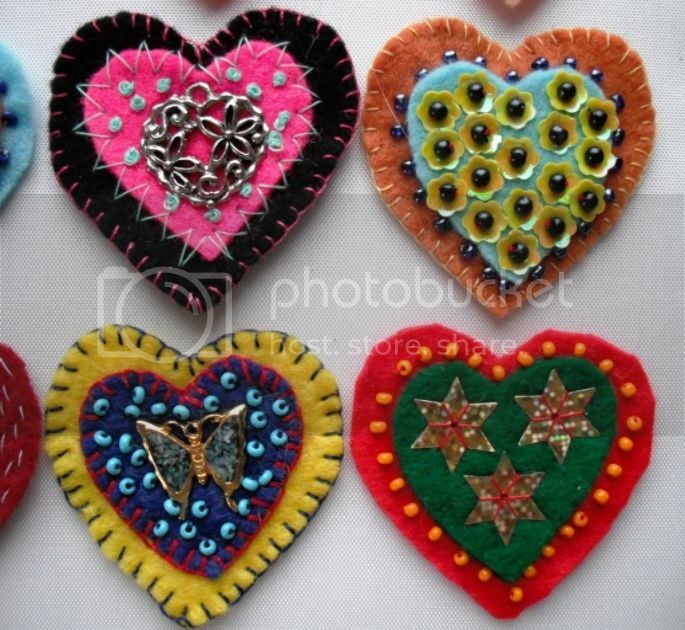 I have been making embellished felt hearts. 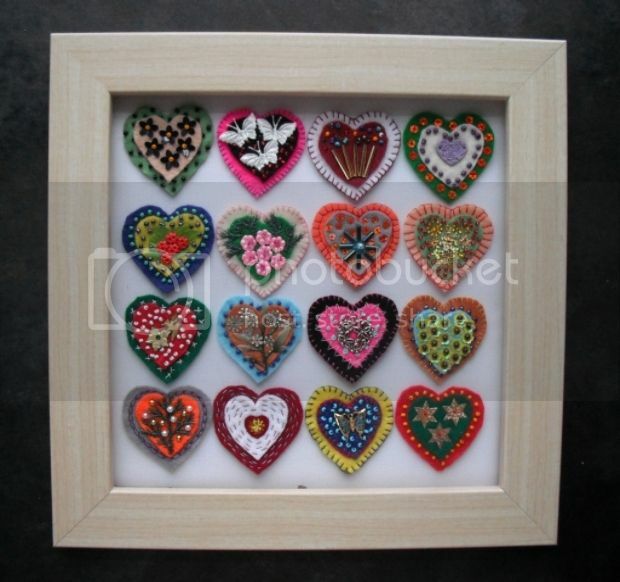 Some of them are just a single heart which is stuffed, with a loop for hanging, and some are hung vertically on a cord or ribbon of five or six, and these I put in a picture frame. They don't have a back so they are not too thick for the frame. 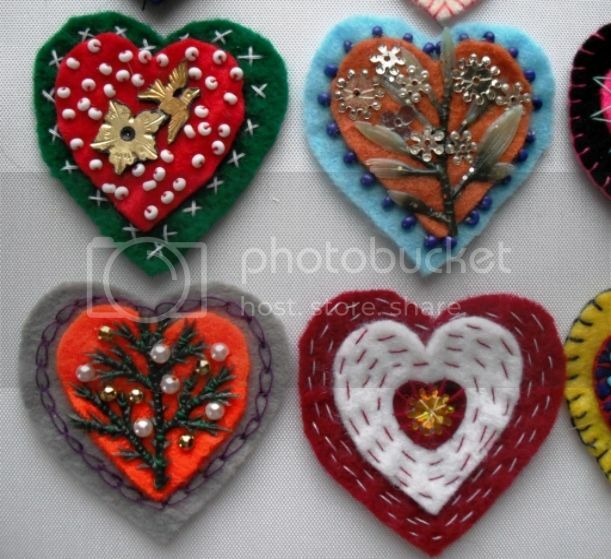 They can be made as Christmas tree decorations, or hung on a window or door, or anywhere you like really. They are so pretty, Ilona. Wow they are very pretty. Do you sell them ? They are lovely, I really admire your talent for doing things. Yes, have a go Sara. 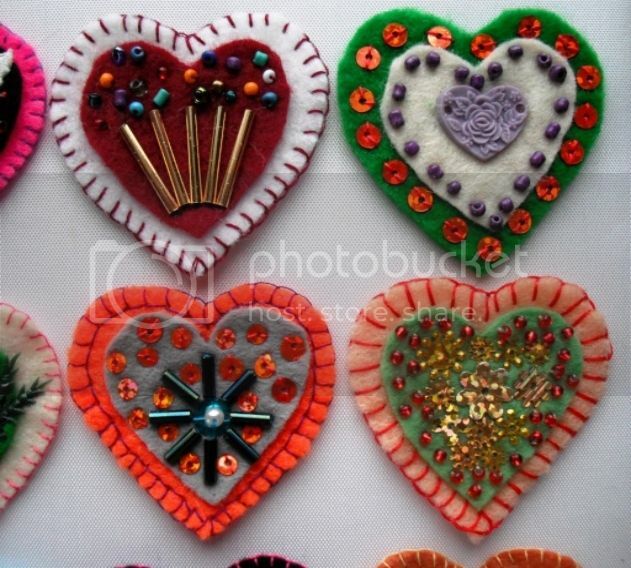 I've made some felt flowers, make nice tree decorations. 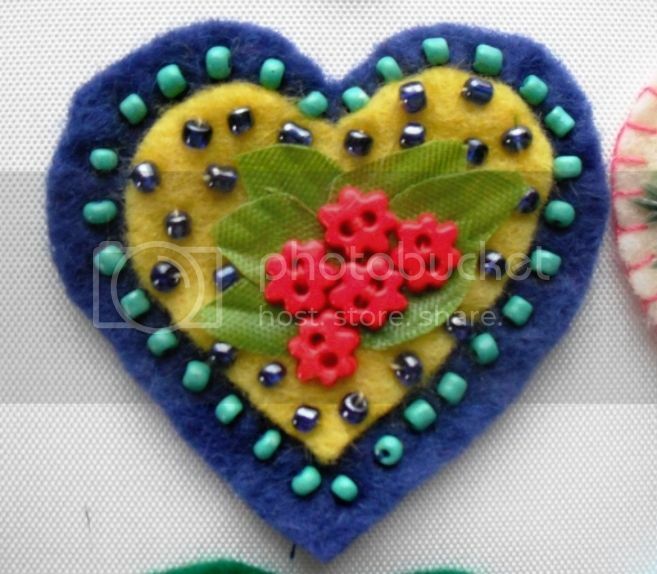 A felt heart for hanging anywhere, on a tree perhaps. Amazes me how you find time to do so much. Living life to the full !!! Sorry Wendy, I have just noticed I forgot to answer your question. I don't normally sell what I make, I usually give it away. I've just had a competition on my blog and the winner will get a goody bag of bits and bobs. However, I did sell a few shopping bags on our cat rescue stall at the Summer Fair in June, and I will be selling a few items on our Chat and Craft stall at the Christmas fair in the Village Hall in December. 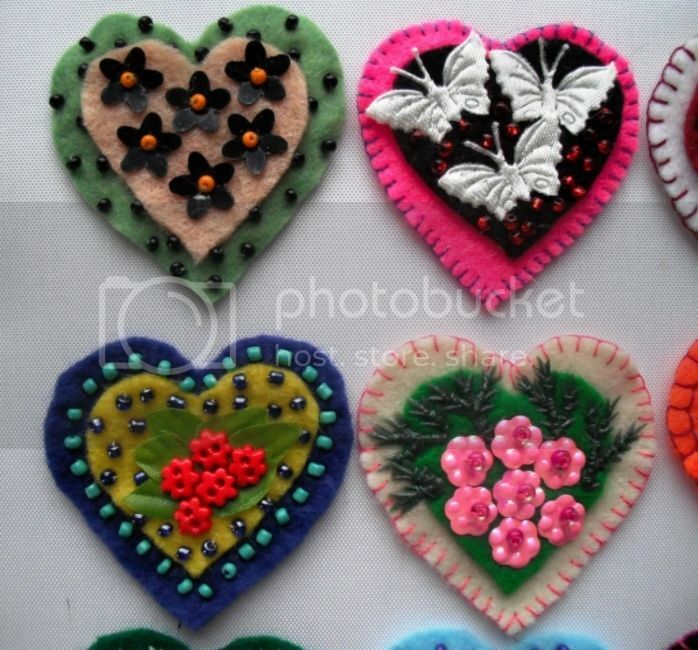 I fancied making some miniature Christmas stockings, I've got loads of felt and beads. 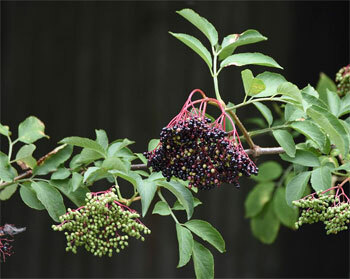 Easy to make, and great tree decorations. I made this bag a couple of months ago, scraps of fabric machined onto a backing then cross stitched over the seams and embellishments added. It's quite thick, and roomy, good for a day out, or a work bag and pick up shopping after.